Laser Therapy is clinically proven as an effective treatment for pain and inflammation. Able to penetrate to deep tissue structures, it has the ability to treat a wide variety of both acute and chronic conditions including back pain, hip bursitis, sprains and strains, shoulder and knee, sports injuries, neck pain, disc issues, sciatica, post surgical rehabilitation, tendonitis and tendonosis, foot and ankle conditions, soft tissue injuries, hand and wrist injuries, and much more. Patients feel a soothing warmth as laser energy gently penetrates tissue and boots your body's own regeneration powers to relieve your pain. Treatments are painless and fast (5 to 10 min). Providing a solution that did not exist before, Deep Tissue Laser Therapy has become preferred by those who have long sough relief without success. 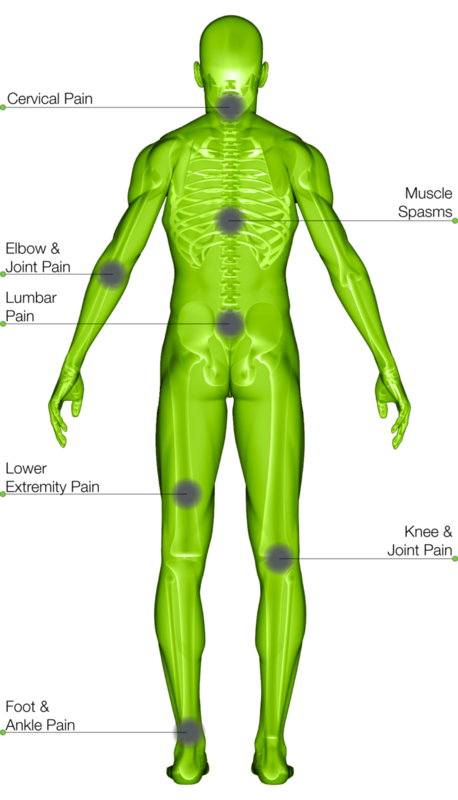 Its ability to impact pain on a cellular level provides pain relief for complex and simple conditions alike.